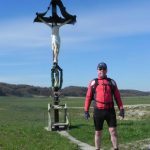 My name is Paul Terence Wadkin and in 2005 I moved from Yorkshire (UK) to Slovenia. 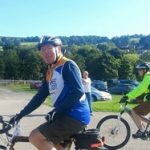 I have always been a keen cyclist, enjoying the opportunity that it offers to relax in the fresh air and the freedom it gives to explore beautiful countryside and enjoy the rich wildlife and cultural heritage. The operational base for the SCS cycling holiday business is the Slomškov Mill House in Razkrižje, just outside Ljutomer in the east of Slovenia and the location is ideal for access to the Slovenian routes as well as the surrounding countries - Austria, Croatia and Hungary. 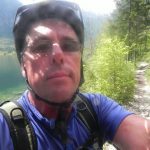 Simply Cycling Slovenia is an ongoing process - developing new routes; mastering the local Slovenian dialect; getting to know the locals and building useful contacts; exploring the region on two wheels, sometimes alone, sometimes with friends and family. 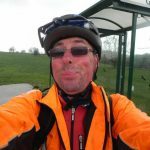 I have covered thousands of kilometres, researching the paths and byways, villages and towns, to assess and develop cycle routes and to check and update the accommodation and attractions along the way. I am constantly exploring and creating new and exciting routes. Some routes venture into Austria, Hungary, and Croatia. 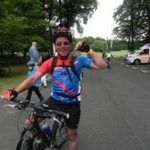 Check out our Routes page to see some examples. But rest assured these are not set in stone: we are very flexible and we're happy to come up with unique routes to suit the interests of your party. I treat each new season as if it was the first and look forward to welcoming you on a Simply Cycling Slovenia holiday soon. Oh and remember, there's no requirement to be super-fit. Routes can be planned to suit all abilities and for those who relish a challenge, extensions can be added to make routes more demanding. You can also choose your own dates! Subscribe to our e-newsletter to receive latest news from us!